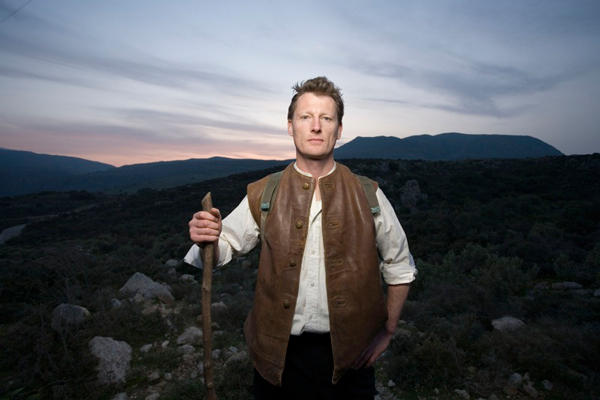 Many will be aware of Benedict Allen’s 2008 BBC documentary where he follows Paddy’s journey and eventually gets to meet with Paddy at Kardamyli. It is rarely shown and unavailable on iPlayer. However, there will be a chance for some to watch the programme at Waterstones Piccadilly on Thursday 9th October at 6.30pm. As part of their “Traveller’s Film Club” series of events, Benedict will introduce the programme after which there will be a screening. Further details of how to book are on this web page. The Traveller’s Film Club are also showing films on Norman Lewis (September 16) and Wilfred Thesiger (November 13). See the same list. Thank you to Mark Granelli for pointing this out to me. See some of you there! 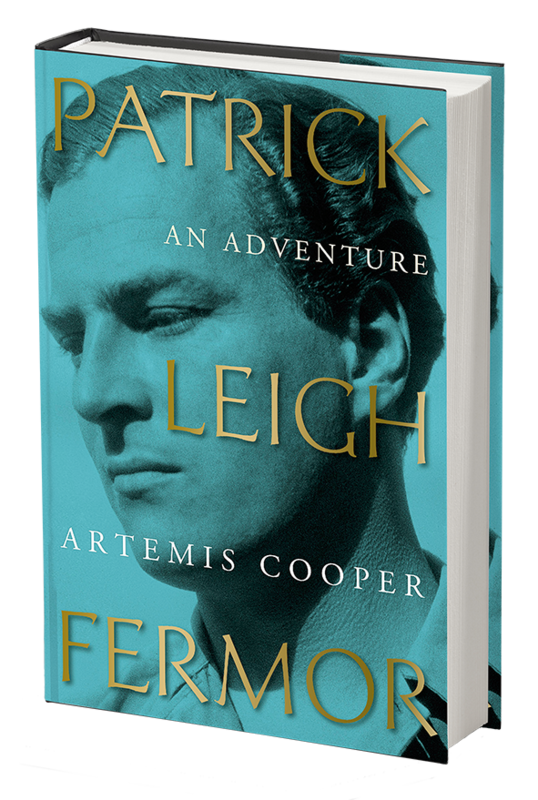 This entry was posted in A Time of Gifts, Between the Woods and the Water, Interviews with Paddy, Profiles of Paddy, Video, Volume Three - The Broken Road and tagged Benedict Allen, Patrick Leigh Fermor, Traveller's Century, Waterstones on September 6, 2014 by proverbs6to10. A debut novel translated from French is among the six titles shortlisted for the inaugural Waterstones Book of the Year. Laurent Binet’s HHhH, published in translation by Harvill Secker, is one of only two novels included on the shortlist, announced today (30th October). Also shortlisted is the Man Booker Prize-winning Bring Up the Bodies by Hilary Mantel (Fourth Estate). The remaining titles are all non-fiction: Patrick Leigh Fermor: An Adventure by Artemis Cooper (John Murray); The Old Ways: A Journey on Foot by Robert Macfarlane (Hamish Hamilton); On The Map: Why The World Looks The Way It Does by Simon Garfield (Profile Books); and Polpo: A Venetian Cookbook (Of Sorts) by Russell Norman (Bloomsbury Publishing). The winning title will be promoted in Waterstones stores in the month of December as The Book of the Year, with the chain bookseller’s managing director James Daunt heading up the judging panel to select it. Binet’s novel tells the story of Operation Anthropoid, the assassination of Nazi leader Reinhard Heydrich in Prague during the Second World War. Its title refers to “Himmlers Hirn heisst Heydrich” (“Himmler’s brain is called Heydrich”), a quip about Heydrich said to have circulated in Nazi Germany. It was awarded the 2010 Prix Goncourt du Premier Roman. The winner will be announced on Thursday 29th November at the Waterstones Christmas Party, which will take place at the bookseller’s King¹s Road shop in Chelsea (London). As well as the support of the entire Waterstones business, the winning author will also receive a case of champagne. This entry was posted in An Adventure: Paddy's Biography by Artemis Cooper and tagged An Adventure, Artemis Cooper, Waterstones on October 31, 2012 by proverbs6to10.